Given the recent tendency of many Japan watchers to focus on some of the more eyebrow-raising news from Japan – ranging from predictions of an ‘Abegeddon’ through possible constitutional changes to historical revisionism – it may be timely to shed light on one particular Japanese multilateral initiative that has seen increasing international interest. The Regional Cooperation Agreement on Combating Piracy and Armed Robbery against Ships in Asia (ReCAAP) is the world’s first regional intergovernmental body designed to combat piracy and armed robbery (PAR) against ships. 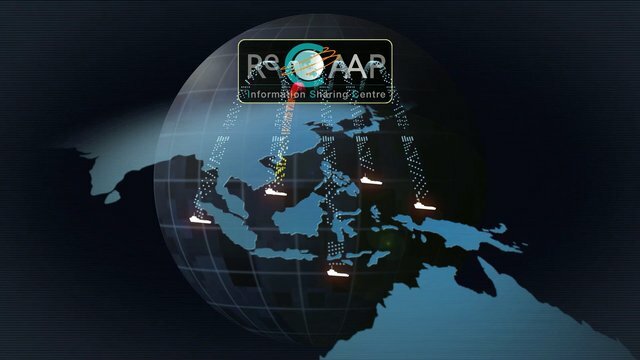 ReCAAP was born out of the Asia Anti-Piracy Challenge Conference held in Tokyo in 2000, which followed in the wake of the 1997 Asian Financial Crisis and the resulting spike in PAR incidents. A concrete initiative to establish such a body was made by Prime Minister Koizumi during an ASEAN+3 Summit in 2001, and the ReCAAP Agreement was drafted by 16 Asian countries in 2004. It entered into force in September 2006, followed in November by the establishment of an Information Sharing Centre (ISC). This Singapore-based ISC serves as a hub for information exchange on PAR incidents between all contracting states. At present, ReCAAP has 18 such contracting parties, including four from Europe (Denmark, the Netherlands, Norway and the UK). As the first framework of its kind, the ReCAAP model has enjoyed significant success and served as a model for the creation of the Djibouti Code of Conduct (DCoC), and is now in the early stages of forming the basis for a similar information sharing mechanism in the Gulf of Guinea. According to the latest available figures, the number of reported piracy and armed robbery attacks against ships in Asia – most of which occur in the waters, ports and harbors of Southeast Asia – continued to decline over the course of the first five months of 2013. This year thus continues the positive trend from 2011 and 2012 when the number of incidents began to decrease for the first time since their surge in 2009. Although not the only factor to contribute to the decrease, facilitating information sharing has proven invaluable in a region crisscrossed with maritime boundaries, exclusive economic zones (EEZs) and ongoing territorial disputes. Detailing ReCAAP’s information sharing and incident reporting procedure would be beyond the scope of this post, although some of its intricacies may well be addressed in more detail in a separate piece in the future. Until then, a general overview of the reporting procedure can be found here (appendix, page 26). Despite its relatively modest funding (all of ReCAAP’s funds are obtained through voluntary donations by contracting parties), which will amount to approximately 2.2 million USD in the fiscal year 2013, ReCAAP’s three principal tasks – information sharing, capacity building and cooperative arrangements between contracting parties – have made a tangible contribution towards reversing the rising trend in PAR incidents in the region. After having authored a paper on PAR in Southeast Asia and the role of ReCAAP back in March, I was glad to have the opportunity to welcome a delegation from the ReCAAP ISC at a round table organized by the European Institute for Asian Studies (EIAS) in Brussels on 21 June. Their visit coincided with a period of increased international interest in the Agreement and its work, as Australia is set to become the 19th contracting party this August. France and the U.S. have also expressed an interest in joining, which would increase ReCAAP’s membership to 21 and expand the range of its information sharing network from Asia into the Pacific proper. Finally, as the EU contemplates becoming a partner organization over the coming years, the role of Europe within the framework will increase even further. As its information-sharing model sees increasing adoption in other PAR ‘hotspots’ across the globe, ReCAAP will continue to attest to the capability of Japan to engage with its neighbors in multilateral fora (both China and South Korea are contracting parties) and shape pan-Asian initiatives. With some of the recent changes in the country’s political-security milieu putting its neighbors on edge, perhaps the time is right for Japan to reaffirm this capability. The 2001 ‘Koizumi initiative’ was a success; has the time come for an ‘Abe initiative’? It could build on ReCAAP’s success or outline a new multilateral framework that would help safeguard the global commons, be it in the maritime, cyber, air or space domain. Crucially, such an initiative could assure the participation of Japan’s neighbors while giving Tokyo’s soft power a welcome boost in the process. Miha Hribernik is Research Coordinator at the European Institute for Asian Studies (EIAS) in Brussels and an analyst at the geopolitical consultancy Wikistrat. The views expressed here are entirely his own. This post appeared in its original form on the website of the Japan Foreign Policy Observatory.